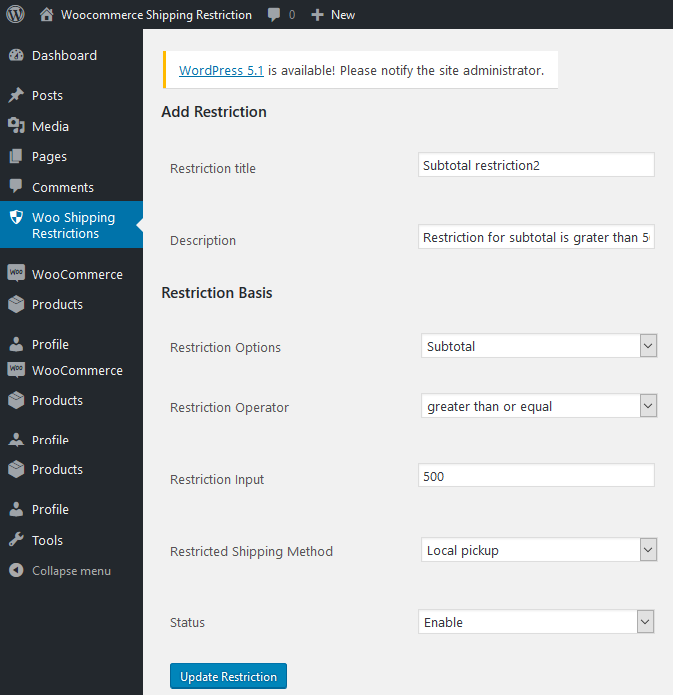 Shipping Restrictions for WooCommerce is a plugin in which admin can restrict shipping methods to be applied in the cart. 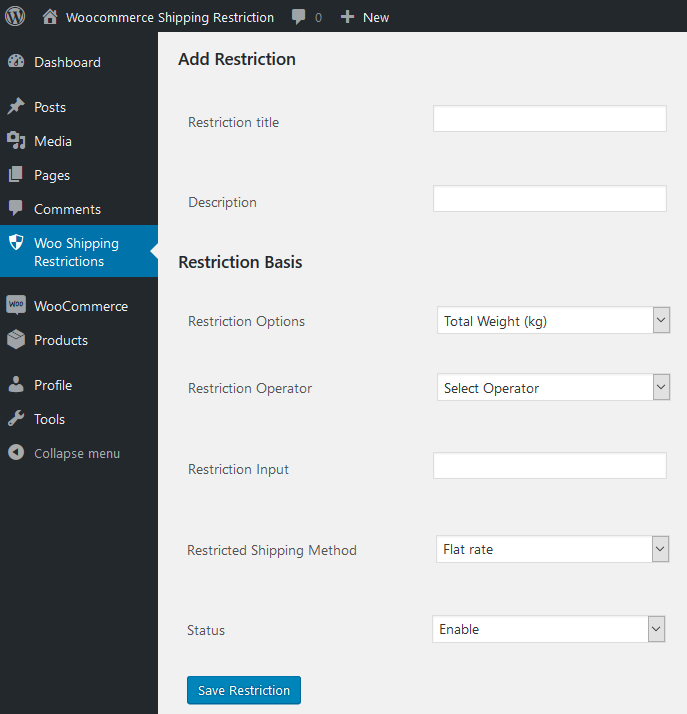 The admin can add multiple restriction rules for shipping methods and if all rules should be applicable in the cart only then shipping will be allowed and displayed to the customer. Restriction rules can be created on the basis of measurements i.e. length, width, height, weight and volume or the cart basis i.e. subtotal, products, categories. 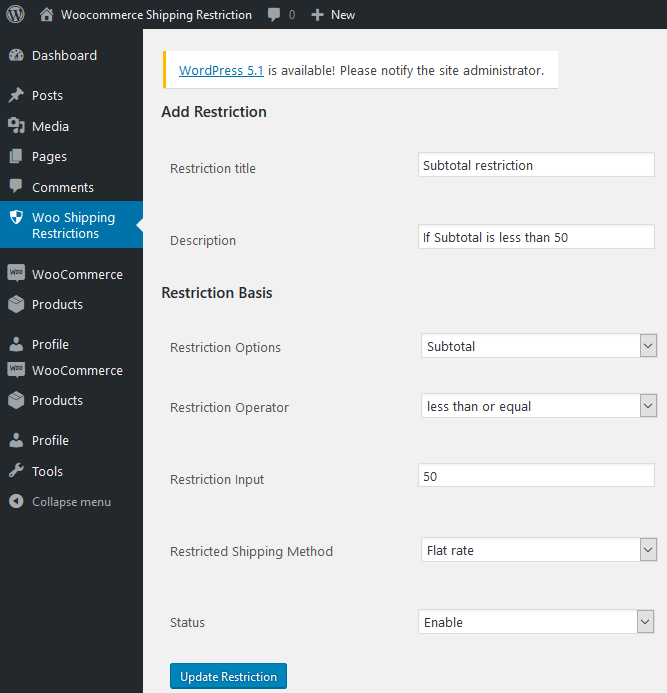 This module does not create any new shipping method, you can restrict only existing shipping methods. 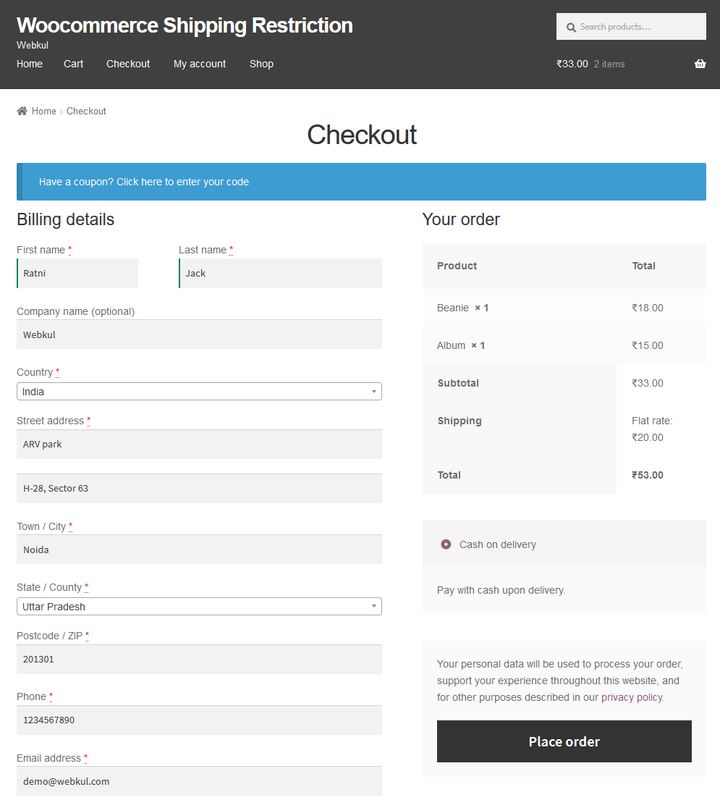 If the product does not have any shipping method restriction then all active shipping methods will be displayed at checkout. Dear Customers, if you have a question/query, please raise a ticket at webkul.uvdesk.com. We will do our best to answer as quick as it is possible. Don’t give us a low rate without contacting support on the issue you’ve faced with. We are always happy to help you. 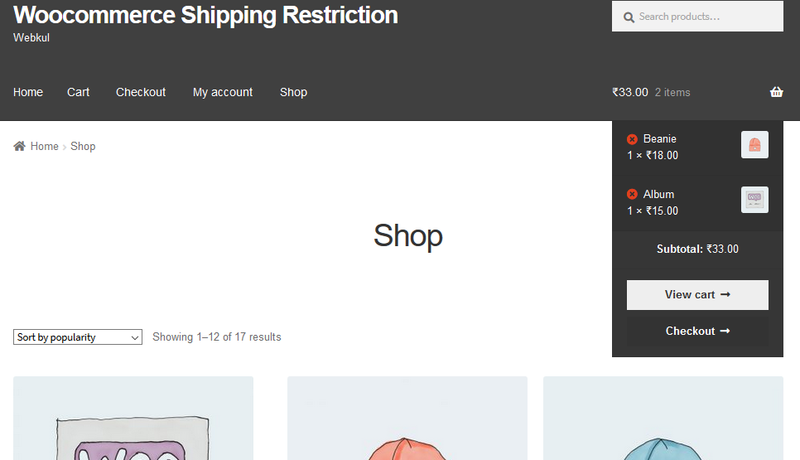 Restrict shipping methods to be applicable in the cart. 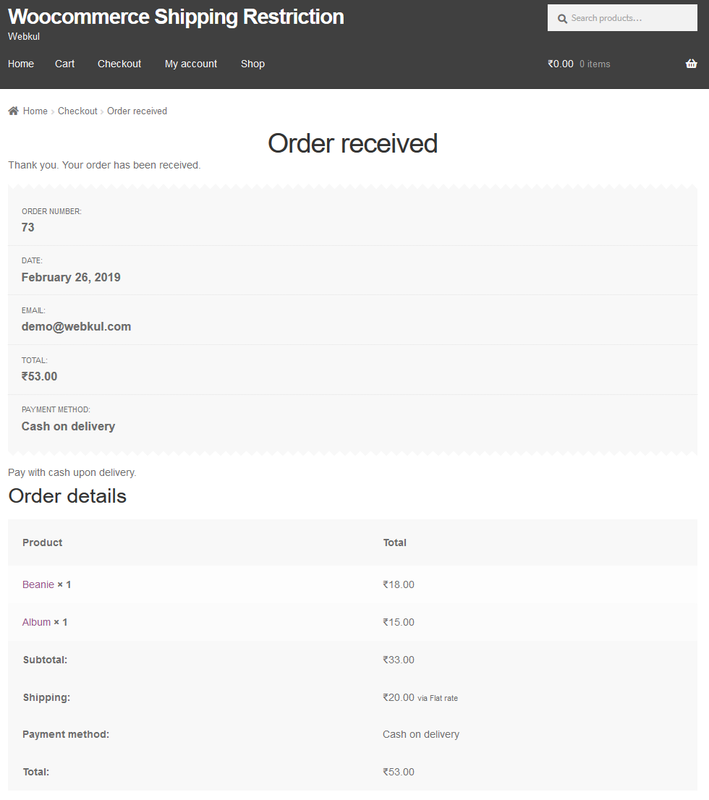 Only assigned shipping methods available while checkout. 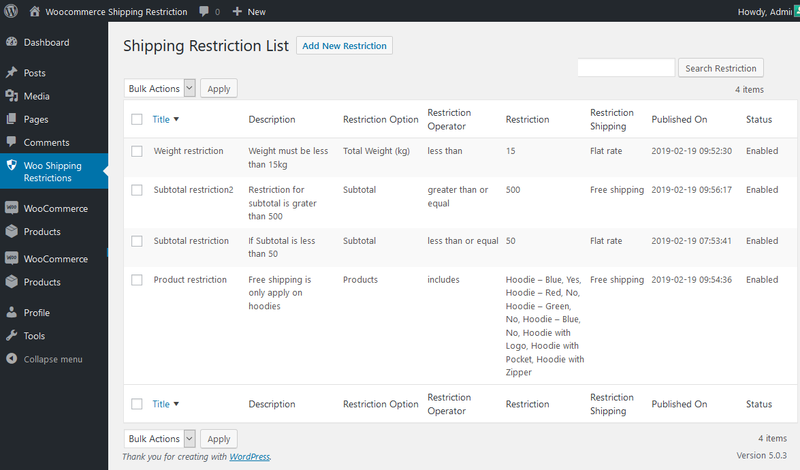 Create restriction rules on the Measurements basis(length, width, height, weight and volume). 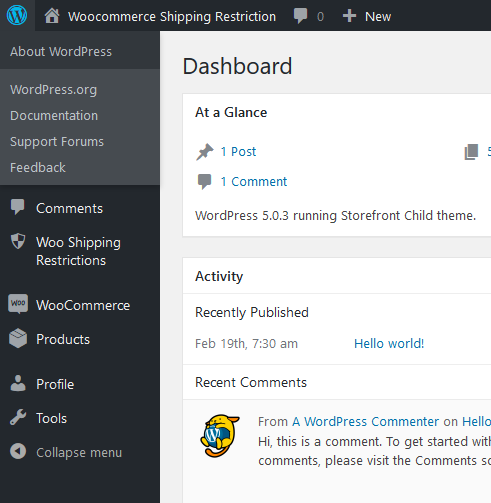 Create restriction rules on the cart basis(i.e. subtotal, products, and categories). Restriction operators for creating the required restriction logic. Select products/categories for applying restrictions. 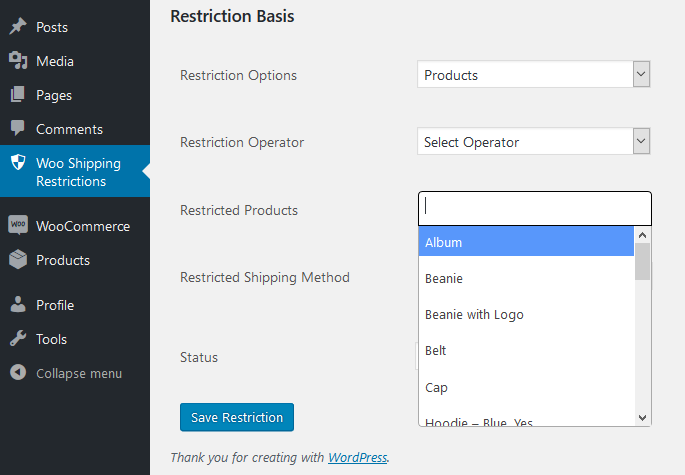 Admin can use include exclude and present all operator to restrict shipping. 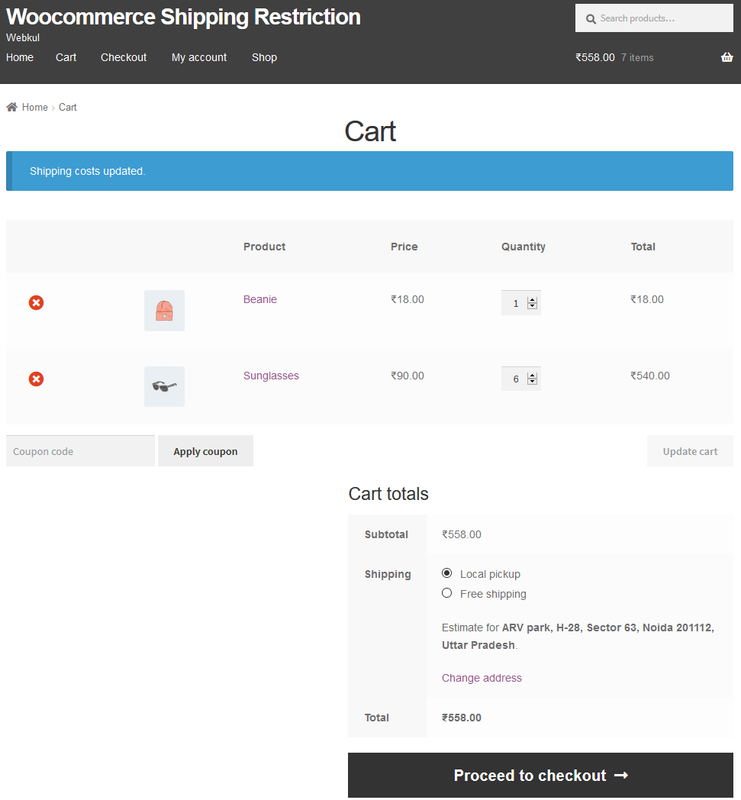 Restrict the shipping methods for the product types – Simple, Variable, External and Downloadable. 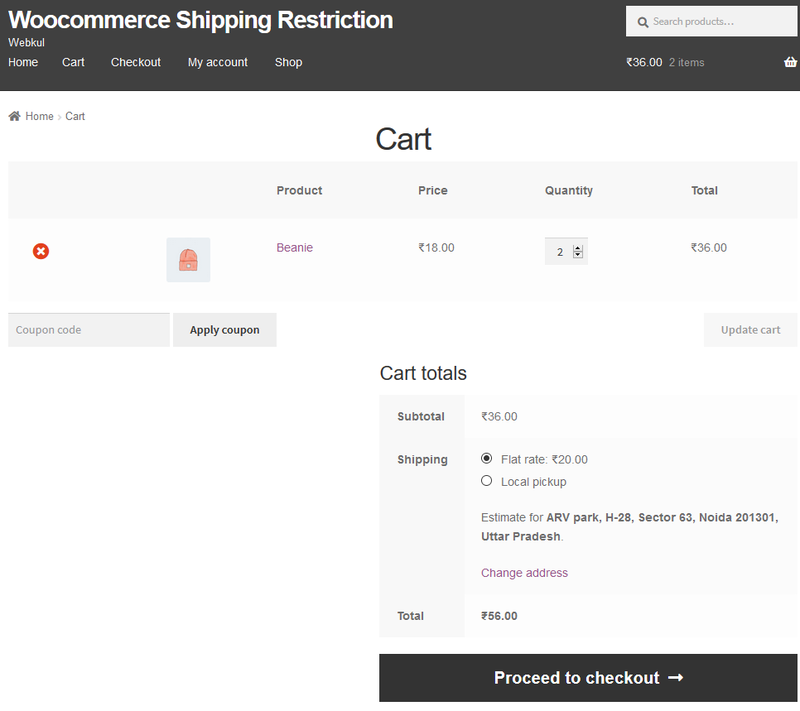 When a rule is applicable on the cart only then will the shipping will be visible at the checkout else not.